Our PVC pipes are manufactured with the highest quality materials which, thanks to their chemical and physical features, assurelong lasting pipes and preserve them from corrosion of very aggressive water or alterations due to stray currents. They are non toxic and suitable for drinking water use. Their extremely smooth surface avoids any kind of encrustation, moreover their lightness and type of connection –threaded with socket (Pic. 1) or flush jointed (Pic. 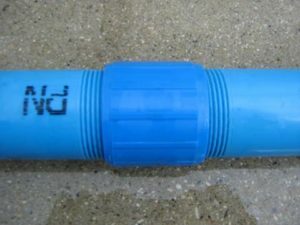 2) –allow easy and quick pipe laying. All pipes are carefully inspected and connections are tested. When applicable they are manufactured according to DIN 4925 norm requirements. Pic. 1 – M/F Threaded end with socket. 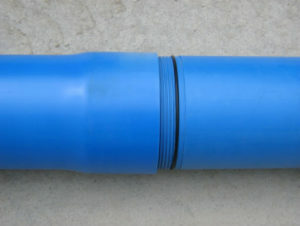 overall dimensions compared to the pipe diameter. 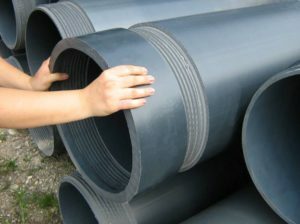 overall dimensions as the pipe diameter. 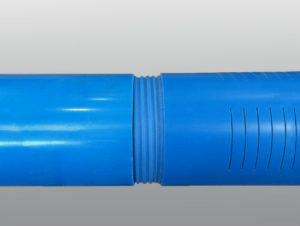 Male-male threaded connections with coupling. Pipe diam. 450 mm flush jointed.